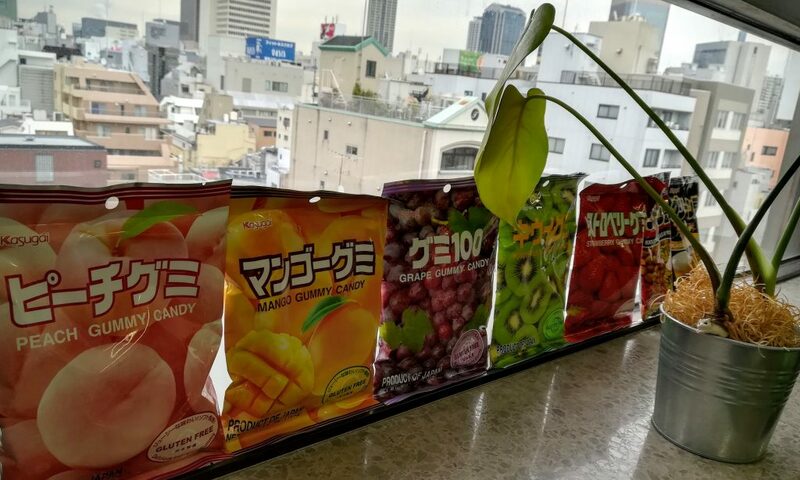 As far as gummy candies go, Kasugai sets the standard in Japan, if not the world, with a dozen varieties (we had strawberry, kiwi, mango, mangosteen, lychee, grape, muscat, pineapple, peach, musk melon, orange, and apple), each one with a distinct, juicy flavor. (The kiwi even has little kiwi seeds in it!) There are a few other competitors in the market, but none of them really come close to the Kasugai either flavor- or texture-wise.